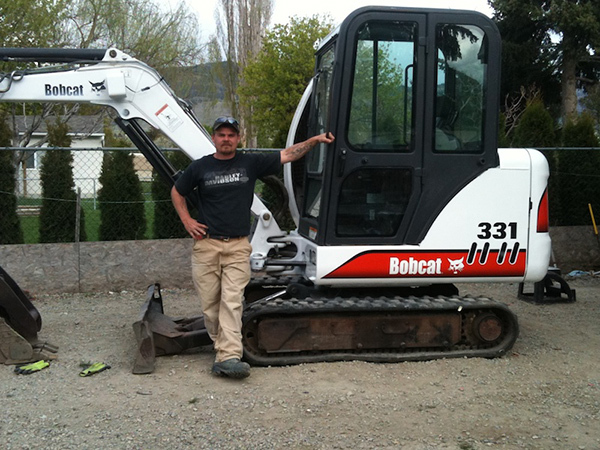 Rock Hard Excavating was established back in 2011 and started with one truck, one bobcat, one excavator and me, Jody. I was born in Saskatchewan and moved to the Okanagan with my family when I was six years old. I love the outdoors, even as a kids my mom could never keep me in doors. I met my wife Christina back in 1999 and we have been together since. We have two beautiful daughters, Ashlie our oldest. Emma our youngest. Our company strives to be a one stop shop for you and all your excavating needs. Life is busy and it is helpful to have only one contractor to deal with that you can trust will do the job right. We have a network of skilled people to help along the way. Your excavating/landscaping should be a hassle free experience. References for any kind of project are available upon request. We service Vernon to Peachland and everything in between.